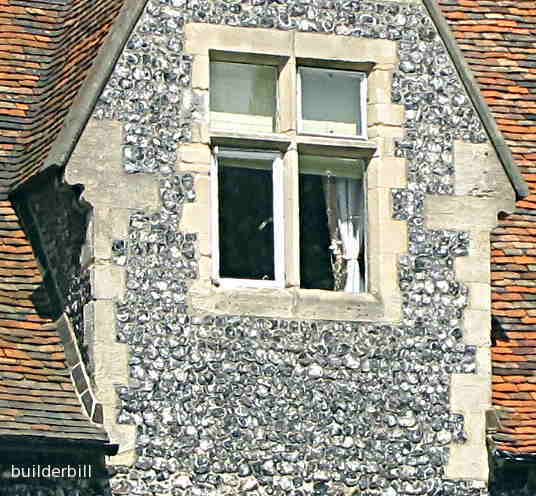 Extremely hard and durable walls out of flint stone, using nodules or rocks of flint that have been knapped to give a decorative face. A study in contrasts. 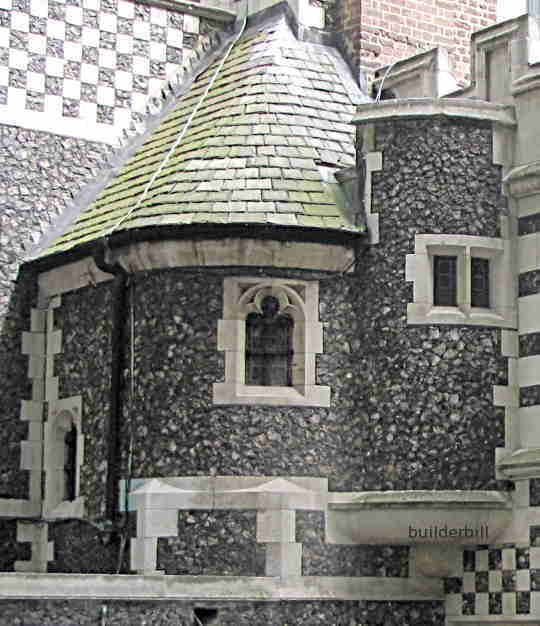 The almost black flint walling and the white stone ashlar work. Seen at the Priory Church of St. Bartholomew The Great, London UK. Flint is a hard almost glass-like stone that apart from it's historical uses as stone age tools and cutting edges, was used for hundreds of years for lighting fires. When a piece of flint is struck against steel it can produce a spark. 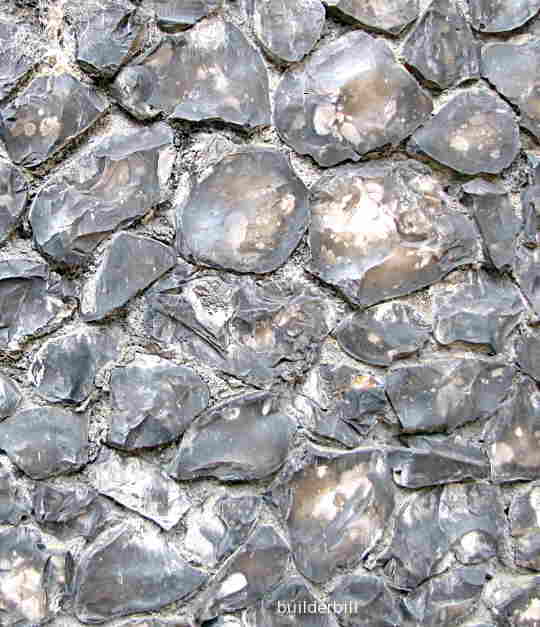 Layers of flint are found in limestone and chalk country and it often takes the form of football sized nodules that make a very strong and somewhat unusual wall. A close up of the same wall as above.